…where we’ve merged exceptional service and inventory to create the most efficient parts ordering and delivery process in the tri-state area! In January of 2000, we turned a downtown warehouse in Doylestown, PA, into 169,000 square feet of storage space with a state-of-the-art sales and service center. Under this one roof we assembled 21 manufacturer brands, our management team, sales team and delivery division. If you’re in the area, stop by so we can show you around. And I’d be happy to hear your suggestions or answer your questions — just call 877-942-3267, and ask for Denny Loux. 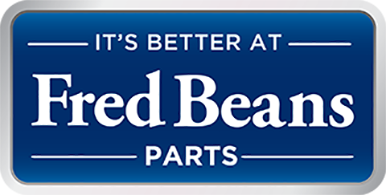 We would like to thank you for choosing Fred Beans Parts…our growth and success depends on loyal customers like you.